The beautiful Tamar River is the perfect backdrop for your corporate function. Experience the Tamar Valley in a new light aboard our luxurious vessels. 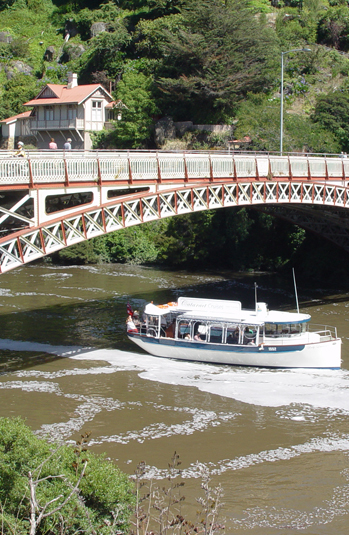 Cruise along Launceston's modern riverfront precinct, rolling hills, heritage buildings and the magnificent Cataract Gorge. Launceston's Tamar River is sheltered and holding your corporate event on the water is an unforgetable experience. Tamar River Cruises has been operating since 1996 and has won multiple awards, we have carried hundreds of thousands of customers and have earned a highly respected reputation. We pride ourselves on professionalism and a high level of service. Our immaculate open-plan vessels create a comfortable, relaxed and social atmosphere for our guests to enjoy. Our fantastic catering options will provide a top quality dining experience using Tasmania's renowned local produce and we source a fantastic range of local wines.